Badgers End is a lovely period Cotswold stone cottage situated just behind Chipping Campden's famous and historic High Street. The cottage offers excellent accommodation for 4 adults and is comfortable and well finished. 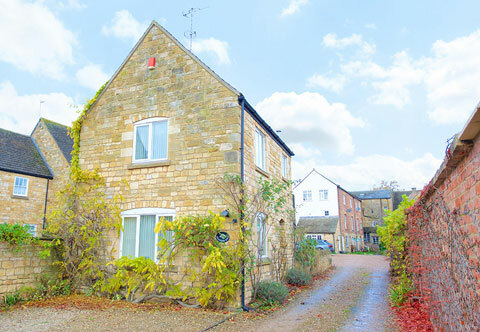 Badgers End is a lovely period Cotswold stone cottage situated just behind Chipping Campden's famous and historic High Street. Comfortable and well furnished the cottage offers excellent accommodation for up to four adults and is the perfect base for a relaxing holiday and from which to tour the Cotswolds. Chipping Campden is a traditional wool market town with beautiful buildings and wonderful shops and many excellent restaurants. Well equipped kitchen with kitchen table and seating for four people, including washing machine, dishwasher, oven and grill, microwave, large fridge, freezer, toaster, kettle. Cloakroom with wc. Living room with comfy large leather sofa and two chairs, log effect gas fire, TV with DVD player and Freeview channels. Double bedroom with new kingsize bed and excellent mattress plus new linen, plenty of cupboards and hanging space, mirror, and television with built in DVD player and freeview channels. Bathroom with toilet, wash hand basin, bath with shower over, wall cupboards and mirror. A second bedroom with new double bed, television, cupboards and plenty of hanging space. Small courtyard with garden table and chairs for outside dining.